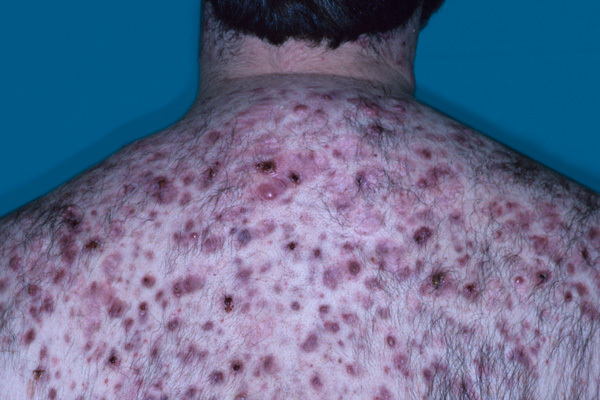 Folliculitis is an infection of the hair follicles caused by friction from clothing, blockage of the follicle, or shaving. Acne conglobata is a chronic and severe form of acne vulgaris characterized by deep abscesses, inflammation, skin damage, and scarring. The mild form of acne vulgaris disappears in adulthood. 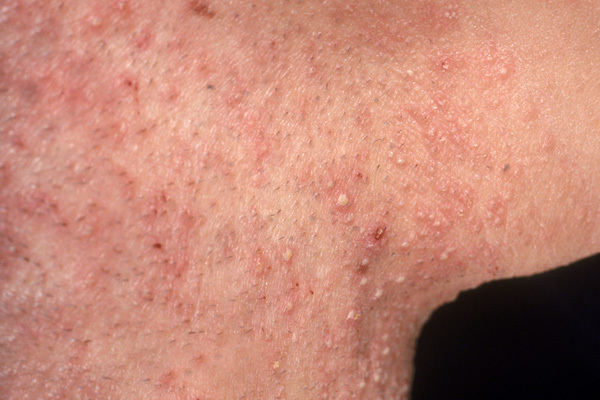 More persistant, chronic acne can result in infected cysts and scarring of the skin. 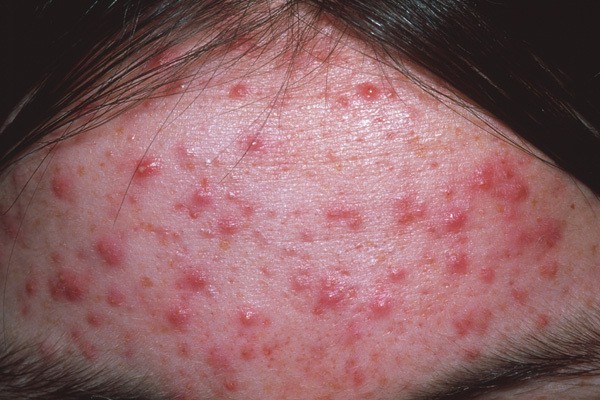 Acne vulgaris pustules are caused by the blockage of hair follicles by plugs of dried sebum. 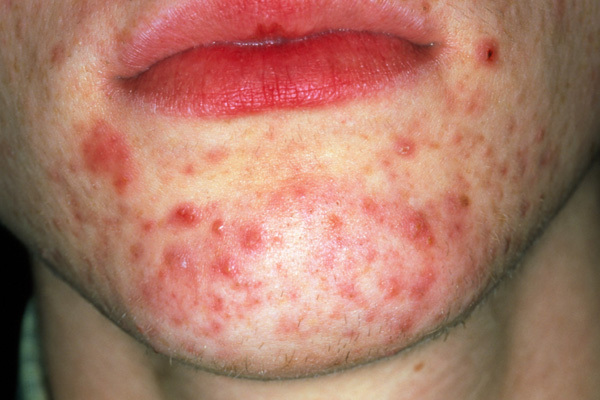 This type of acne occurs on the face, chest, and back and is most common in young men. Rosacea usually begins with temporary flushing and can develop into a permanent redness, often accompanied by pustules resembling acne. 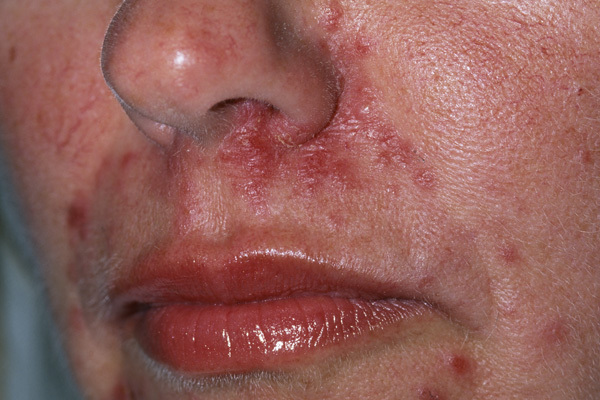 Acne rosacea is a skin disorder that can affect the blood vessels of the face, causing a flushed appearance. Treatment of inflamed hair follicles includes frequent washing and use of antibiotics. 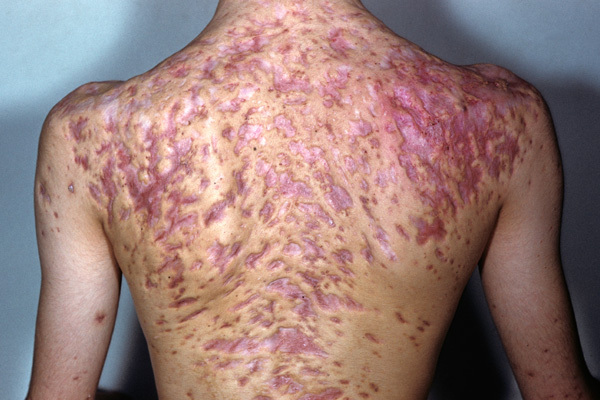 Characteristics of acne fulminans include sudden onset, severe and often ulcerating acne, fever, polyarthritis, and failure to respond to antibacterial therapy. Acne, a general name given to a skin disorder in which the sebaceous glands become inflamed, comes in a number of types.